I was introduced to a lot of new things in college. Oh sure, I gained a new appreciation for my faith, and I learned how electricity worked, and I met my future bride. But I'm not going to write about those things today. Thanks to a Netflix account and some fellow geeky engineering students, I discovered a show called Firefly. Between the show, the movie Serenity, and a Firefly board game my wife and I have greatly enjoyed, there's too much for me to write about to fit it all in one post. Today's post will focus chiefly on the television series, and I'll cover the other material in subsequent posts. In the fall of 2002, a science fiction show called Firefly aired on FOX for about a half a season, unseen by most, and was canceled. If it had been any other show, that might have been the end of it. But something about the show captured the imaginations of its small - yet loyal - fan base. It didn't hurt that Joss Whedon, the show's creator, had built up some good will with his previous television projects, Buffy the Vampire Slayer and its spinoff Angel. After the show's cancellation, fans organized letter-writing campaigns to a number of networks, trying to get the show renewed. They at least managed to get the entire first season released on DVD (3 of the show's 14 episodes never aired on FOX). This exposed the show to a wider audience, and Firefly's fandom grew. It also allowed people to watch the episodes in the intended order. 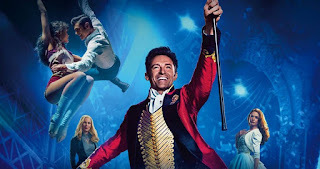 (For some reason, FOX executives decided to skip the original first episode and start with the second episode, and then acted surprised when viewers didn't get attached enough to the characters to keep watching.) The fandom continued to grow, to the point where Universal Studios saw enough fan interest to produce a movie continuing the story of the television series - called Serenity - which was released in 2005. Of course, all of this completely passed me by (although in retrospect, I do remember seeing a trailer for Serenity, without having any idea what the movie was about). I didn't find out about Firefly until I started college in 2007. As I was making the way through the series in my dorm room, friends - and friends of friends - would occasionally notice what I was watching. I would get one of two reactions. It was either "What show is that?" or "Ooh, Firefly. Nice! I love that show!" And after I'd finished the series and the movie, my friends that had seen Firefly and I decided we had to share the show with our friends that hadn't seen it. I hooked my laptop up to the TV in the lounge on our floor, and we played the show episode by episode over the course of the next week or two. I assume that's how the fandom spread so quickly after the show was canceled. As people discovered it, they felt they had to share it with all their friends. Not to mention the fact that it's an amazing show, with a cool premise and compelling characters. The show is set in the distant future, in a solar system or solar neighborhood with many habitable planets. The circumstances of how humanity came to live here are filled in by the movie, but we know in the show that, at some point, all of Earth's cultures had been absorbed into either the United States or China. So the philosophy, religion, wardrobe, and language is sort of an East-meets-West blend. Characters occasionally slip bits of Chinese in their dialogue (usually just swearwords). The inner worlds are high-tech and civilized, while the border worlds are more like the Old West. Several years before the main action of the show, there was a war between the Alliance (those people - primarily from the inner worlds - who wanted one unified government to rule over everyone) and the Independents (those who wanted to retain their independence). The Independents (nick-named the 'Browncoats') lost the war. Those who aren't crazy about Alliance rule stick to the border worlds, where the government has less of a presence. The show follows the crew of a Firefly class ship called "Serenity" as they take on jobs (some of them illegal), avoid the Alliance where possible, and try to keep their ship flying. Mal fought in the war on the side of the Independents. When the side he believed in lost, he purchased a cargo ship and took jobs where he could get them. He generally tries to do the right thing, while also keeping his ship in the air and providing for his crew. He carries a grudge against the Alliance - he still wears the brown coat he wore in the Independent army - so if the jobs he gets are illegal, all the better in his eyes. Zoe served under Mal in the war, and continues to serve under him on the Serenity. She is a skilled soldier, which comes in handy on many of their jobs. While all of Serenity's crew are like a family, she and Mal share a special connection due to their shared experiences in the war. But there isn't any kind of romantic tension between them. In fact, Zoe is spoken for. Wash is Zoe's husband, and the ship's pilot. He is the funny guy on the crew, always cracking jokes. Wash's first scene in the show has him playing with toy dinosaurs on the bridge of the Serenity. But when the time comes for it, Wash is able to fly them out of many dangerous situations. Jayne is the ship's enforcer. And while Wash is the funniest character to his fellow crew members, Jayne is often funnier to the audience, unintentionally. He's more brawn than brains. He's also probably more morally ambiguous than the other characters. Jayne is not above betraying people - even fellow members of the crew - if he gets paid enough. Warning: In discussing Inara's character, I'll get into some adult themes. It's kind of hard to discuss Inara without discussing those themes. So, if you're fine with that, click here. Otherwise, you can just skip forward to Kaylee. Kaylee is the ship's mechanic, and she's a genius when it comes to what makes a ship tick. She's also kind, sweet, and relentlessly cheerful, which makes a humorous contrast with the rest of the outlaws on the ship. She is quite taken with Simon, and doesn't understand why he seems to ignore her advances. In some ways, Simon is the audience's point of view character, has he is a newcomer to the crew. He is a doctor from a wealthy family on one of the Alliance worlds. But he left that life behind when he broke into an Alliance facility to rescue his sister, and became a fugitive. He develops feelings for Kaylee, but has trouble showing this because A) he's a guy, and therefore has a foot-shaped mouth, and B) his attempts to be proper and respectful to Kaylee come across as him being cold and uninterested, due to their different backgrounds. River is Simon's sister. Growing up, she was a prodigy; everything came easy to her - from math and science to music and dance. But then the Alliance took an interest in her, and locked her away in a secret facility, where they performed experiments on her brain. After Simon broke her out of said facility, she became one of the Alliance's most wanted fugitives. Because of the experiments done on her, she is only lucid for short, infrequent periods. At other times she is like a young child, and is occasionally violent. The mystery of what was done to her - and why - is a running theme in the series. Book is a "shepherd," which is the equivalent of a pastor, priest, preacher, monk, etc. It is clear that he is Christian, but the specifics of his faith are left vague. His character is quite interesting to me, as he is a man who struggles with holding onto his values in the midst of characters who often act immorally. However, the brand of Christianity represented on the show is a bit watered down, which is disappointing. 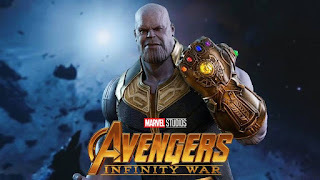 We also see hints throughout the series that there is more to Book than meets the eye: he is skilled in martial arts, and apparently has clout with the Alliance. The show never got to explore Book's background fully, but his story was eventually told in a graphic novel called The Shepherd's Tale, released in 2010. 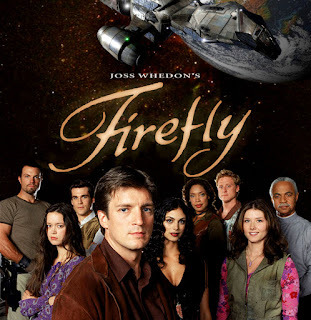 Joss Whedon refers to Serenity - the crew's Firefly-class cargo ship - as the tenth character on the show, and for good reason. 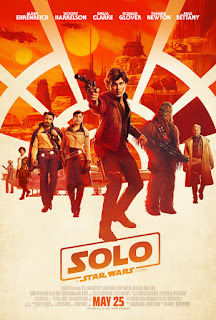 It is the crew's home, their living, and its tendency to break down or need repairs occasionally drives the plot forward (much as the Millennium Falcon's broken hyperdrive does in The Empire Strikes Back). One of the other common things I heard when my friends and I were screening episodes of Firefly in our dormitory's lounge was, "Ooh, this episode. I love this one!" And I heard it about almost every episode. One of the silver linings of the show getting canceled early was that there was no fluff - no filler episodes. The show's creators knew from the start that Firefly was on shaky ground, so they put all of their best ideas on the screen as soon as they could. That being said, it's hard for me to pick a favorite episode, because they're all so good. If I had to pick three episodes, without thinking too much, I would go with "Serenity" (the pilot), "War Stories," and "Objects in Space" (the final episode of the series). The main focus of this episode is Wash. He's jealous of the connection that Zoe and Mal have because of their time in the Independent army, so he insists that he accompany Mal on their next mission instead of Zoe. They end up getting captured by Niska, a sadistic crime boss for whom Mal had refused to complete a job in a previous episode. While being tortured by Niska, Wash and Mal hash out their issues. It's a great scene for character development. It's also hilarious, because the two characters seem more concerned with whether Zoe puts her duty to her captain over her duty to her husband, than they do about the fact they are being tortured by a madman. All of this is topped off by the rescue mounted by Zoe, in which all of the crew take up arms, and River makes a shocking contribution to the assault. This episode is primarily about River. We get to see how she relates to the other members of the crew, from her perspective. She perceives that she is a burden to everyone else, both because of her fragile mental state, and because of her status as a fugitive. And then, Serenity is infiltrated by a bounty hunter named Jubal Early, who is searching for Simon and River. Everything about Early is captivating, from his ship (clearly inspired by Boba Fett's Slave I) to his combat skills. He delivers dialogue in a calm, sometimes quirky way, but there is a deadly undertone that makes it clear that this man should not be messed with. It's also a great ending to the series. It's not a cliff hanger, per se, but it does leave the viewer with questions (many of which would later be answered in the film Serenity). My pick for this post is (obviously) the series Firefly. You can find the complete series - all 14 episodes - on Netflix streaming. Or, if you don't have streaming, you can buy the DVD, Blu Ray, or digital copies on Amazon, here. If you would like to send a few pennies my way (which I use to pay for hosting the site), you can use my Amazon links to purchase any of the items I have recommended, or anything at all from Amazon. Alternatively, you can click the Amazon link here, and then proceed with your Amazon shopping..